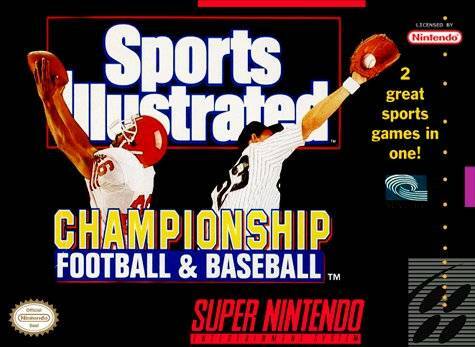 Sports Illustrated: Championship Football & Baseball for Super Nintendo features both football and baseball on one game cartridge. Choose to play a 16-game football season, complete with 90 different offensive players and full championship setup. Or you can hit the baseball diamond, pick from 28 different teams, and obliterate the competition with a variety of pitches and exciting drives and diving catches.